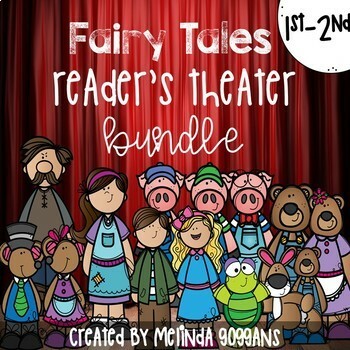 Folk Tales & Fairy Tales Reader's Theater: 10 Script Bundle! Do you teach a unit on folk tales and fairy tales each year? Are you looking for some easy-to-read scripts for emergent readers? 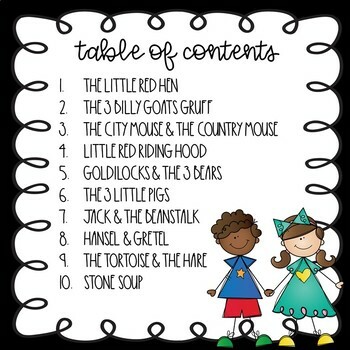 These familiar folk tale/fairy tale scripts are perfect for a foray into the magical world of Reader's Theater! I made this set because many of the scripts that I came across online were too hard for my beginning readers. 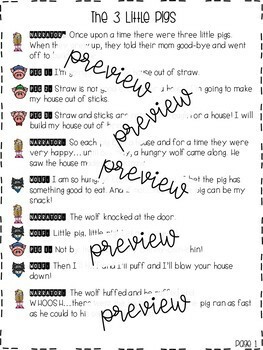 These scripts are simple and easy for children reading on a first grade reading level. They are also short-most are 2-3 pages long. For each script, there are also character necklaces to go along with the parts so audience members can tell which character is which! I wrote these scripts with beginning readers in mind. I think they are well suited to first and second graders working on fluency, but they could be suitable for advanced kindergartners as well. Please check out the preview files to get a better idea of what is included. This is a great deal at only $10 for 10 plays-that works out to a $1 a play!